Thanks to Brett, a reader in Portland, for sending us this link to an exhibition by the Ugandan photographer Ntare Guma Mbaho Mwine at the Blue Sky Gallery. Maybe he'll start riding his bike now, instead of driving in his father's car. Fantastic photos nonetheless. 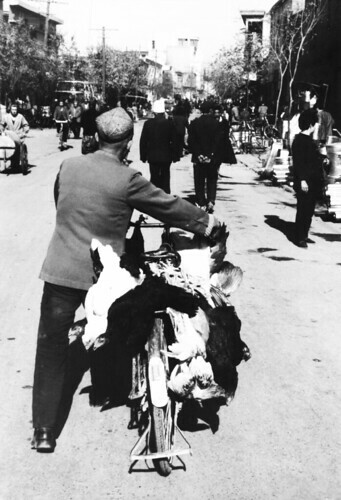 Here's one of my own photos, from 1992, taken in Kashgar [Kashi] in Xianxiang Province in western China. It's amazing to think how important the bicycle is for third world communities. Which is the idea behind the Danish Baisikeli project, of course.